Dancing With The Stars Season 20 - What you can expect! 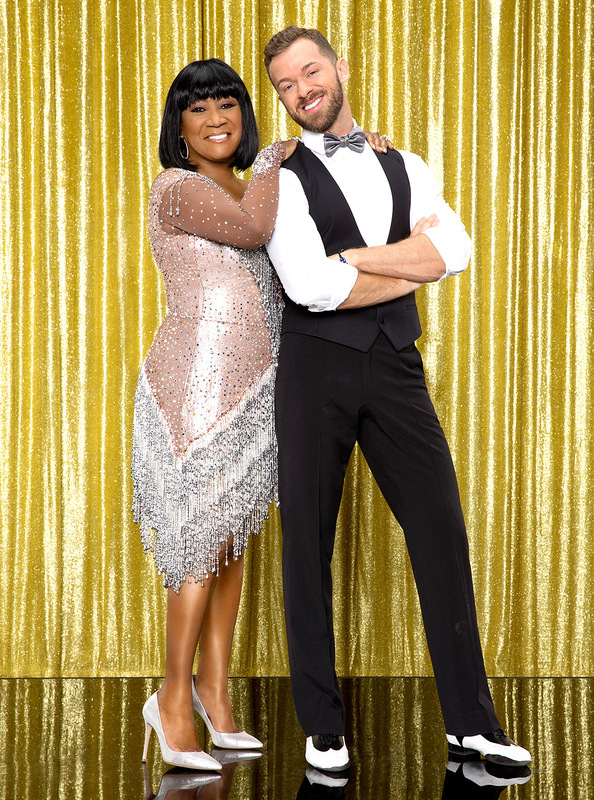 Dancing With the Stars has stood against the test of time and come out on the top of the leaderboard as one of the most popular shows on television. Similarly, the art of dancing has withstood the same test, and will bring joy into people’s lives forever. That is why Dancing With the Stars Season 20 is about to celebrate its TEN YEAR ANNIVERSARY on March 16th, 2015! Don’t be the one to miss this season because just when you thought it couldn’t get any better, it can…and it will! What can we expect from Dancing With the Stars Season 20? Well let’s start off with how our Dance With Me dynamic duo Valentin Chmerkovskiyand Tony Dovolani are representing the #DWMFAM with partners Rumer Willis andSuzanne Somers this season. We also have seven cast members of SWAY: A Dance Trilogy we that are featured as pros or troupe members on this season! Talk about an all-star dance show. But that’s not till June, so let’s get back to the #DWTS contestants. Rumer Willis is known not only for her acting but she is also the daughter of two of my personal favorites, Bruce Willis and Demi Moore. From a baby it seemed like Rumer was destined to follow in mom and pop’s footsteps. 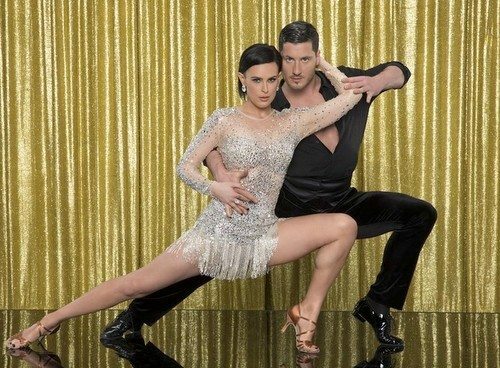 But on this season of #DWTS Rumer Willis will be taking a few new steps of her own on the dance floor with the help from her partner Valentin Chmerkovskiy. Suzanne Somers is mostly recognized for her role-played on the hit TV Series “Three’s Company” in the 1970’s. For those of you who might have missed that generation of television maybe you will recognize her as the lead spokesperson for the famous workout tool called ThighMaster! Now Miss Somers has the chance to combine the killer combo of personality and strength to the dance floor with dance professional tony Dovolani! Michael Sam has taken many strides during his football career and a leap of faith in his personal life over the past few years. Some of his accomplishments include being named Southeastern’s Conference Co-Defensive Player of the Year in 2013, and then in 2014 being drafted by NFL team St. Louis Rams. Also that same year he revealed his sexuality to the world becoming the first openly gay football player in the NFL. Proud of who he his, Michael Sam now takes another chance by joining us for this season of Dancing With the Stars with professional partner Peta Murgatroyd. Let’s see how all that muscle can move on the dance floor! An All-American Hero is what we call our next contestant. Noah Galloway was a brave soldier who had the strength to rise up from a time when it seemed like his life was over. What he didn’t realize was his life was just beginning. A Sergeant during Operation Iraqi Freedom Noah suffered near-fatal injures during an Improvised Explosive Device, or IED, attack and lost part of his left arm and left leg. Returning as a wounded warrior, Noah could have faded away like injured soldiers often times do. However Noah rose up and turned his DIS-ability back to AB-ility. Fit with the latest model prosthetic leg, Noah built himself up by becoming a personal trainer and a full-on participant during Tough Mudder and Spartan events. He is also a motivational speaker and continues to change the lives of those who need help reaching the light at the end of the tunnel. Noah will be dancing with Sharna Burgess. I think we are all interested in seeing them work together to conquer the art of dance…something not even the Tough Mudder can compete against! 2008 Olympic Gymnastics Champion Nastia Liukin will be joining us in the ballroom this season dancing with Derek Hough! Born in Moscow, Russia Nastia is the daughter of two elite gymnasts which made it easy to see how this young woman’s future was going to be the Olymics. After watching a clip of her 2008 gold medal routine Nastia will most definitely be one of the top competitors to beat this season with her natural dancing ability from her gymnastics experience. PARTY ROCKING ON DWTS TONIGHT! Redfoo from LMFAO has rocked his way onto Dancing With the Stars to wow us with his vivacious personality and dance moves. Paired up with professional dancer Emma Slaterwe can probably foresee a number of spunky routines dressed in outrageous costumes to suit Redfoo’s character. Miss Charlotte McKinneyhas been modeling since she was 17 years old and has become quite popular recently for her Super Bowl commercial for Carl Jr.’s Burgers. There is even a rumor that she will be appearing in Joe Dirt 2: Beautiful starring David Spade and Christopher Walken. “WOAH!” Dancing with Keo Motsepe on this season of Dancing With the Stars I’m sure we can expect great things from this blonde bombshell. Born in New Mexico, Willow Shields, has been surround by acting her whole life. Both her twin sister and older brother have taking on the big screen. Willow has acted in numerous movies but was her role as Primerose Everdeen the littler sister of Katniss Everdeen in The Hunger Games that made her an instant star in Hollywood. Now she comes to Dancing With the Stars to continue shining on with Mark Ballas. We know that mark is an incredible choreographer who likes to step outside the bos when it comes to his routines. I am excited to see is he incorporates The Hunger Games theme in any of the free style dances this season. We are all excited to see how Willow can move! Singer, songwriter, actor, and dancer Riker Lynch seems like he’s got it all. Riker is best known for his band on the show Glee! He also has a band of his own called H5 made up of his family and friends. Paired up with Allison Halkerlet’s just see what this jack-of-all-trades can do in the ballroom this season. Origianlly from Croatia formerly known as Yugoslavia Robert Herjavec escaped communism with his parents and fled to America. Starting from nothing Robert built himself up starting with his career in film as a producer and director then moving on to business and become a TV personality for many shows. He is most well know for his seat on the popular show Shark Tank where entrepreneurs make business proposals to investors. This time, Dancing With the Stars made Robert a proposal he just could not refuse…the chance to win the Mirror Ball Trophy! Robert will be dancing withKym Johnson this season. Let’s see if this Shark can handle the pressure when put to the test. She has spent over 50 years in the music industry and has touched the lives of millions with her songs. At 74 years old, Patti LaBelle is not ready to throw in the dancing towel just yet. Dancing with Artem Chigvintsev, we will see this Lady Marmalade strutting her stuff on the dance floor. I can’t see what she has in store for us! On the TEN YEAR ANNIVERSARY of Dancing With the Stars Season 20 there is no way of knowing who will be at the top of the leaderboard. There is such a wide spectrum of stars on this season that it just goes back to what we say here a Dance With Me…”Anyone can dance. All you need is the desire to do it.” So every time Dancing with the Stars is on, remember to get up and dance. Share the experience…trust me you’ll have a blast. And don’t forget to VOTE VOTE VOTE!!!! The viewers are the ones who keep this show alive so please don’t forget to VOTE for your favorite star. 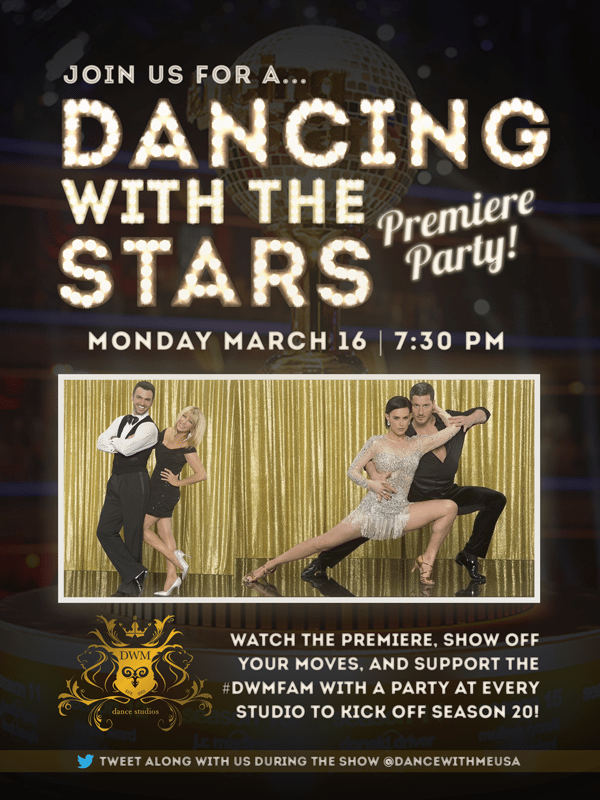 The premiere of of Dancing With the Stars season 20 will air on ABC, March 16th, 2015 8pm/7pm central time. See you there! WHAT DO YOU THINK OF THE CONTESTANTS THIS SEASON? WHO IS GOING TO TAKE HOME THE TROPHY? TELL US IN THE COMMENTS BELOW AND DON’T FORGET TO SHARE WITH YOUR FRIENDS!